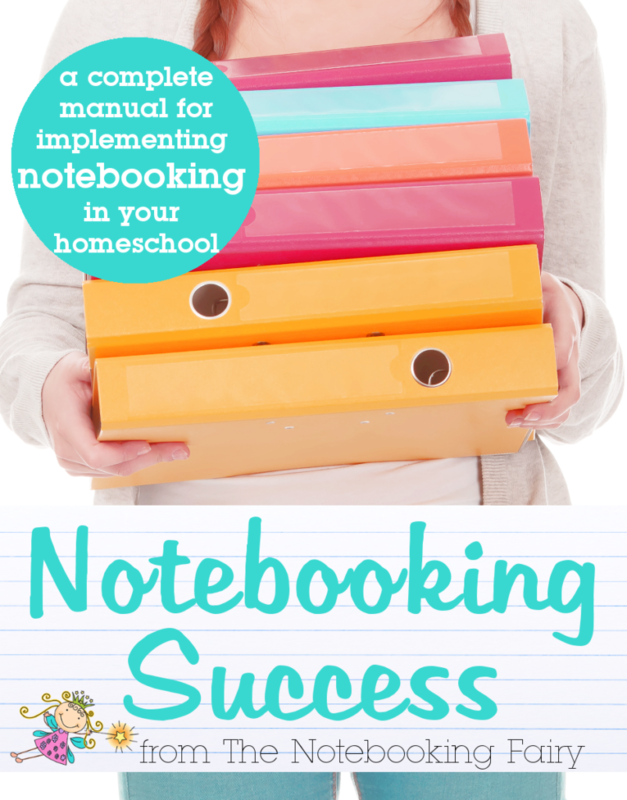 Notebooking Success is a complete manual for implementing notebooking in your homeschool. For far less than the cost of a single workbook, Notebooking Success teaches you, the homeschool mom, a learning technique that is applicable to all academic areas for every student you teach regardless of grade level. Immediately after your secure purchase at ejunkie with PayPal, you will receive a link where you can download and save the ebook plus the five bonus files all in a single zipped file. 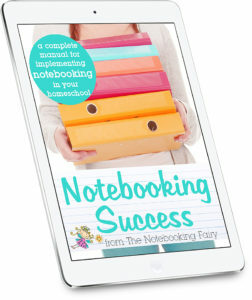 The convenient PDF format means you can print it or read Notebooking Success eBook from your computer, iPad, or eReader. Anyone can throw a notebooking page in front of the kids. But it takes deliberate attention to use those notebooking pages for maximum benefit. As powerful as notebooking is, it can become busy work that wastes time instead of reinforcing the learning if not implemented correctly. Am I using notebooking to its fullest potential? How do I know if my children are really learning? How do I use notebooking to help my children learn and to remember what they learn? What should I expect from different ages? Notebooking Success is not a workbook or a set of lesson plans. It is not a curriculum at all but instead a digital how to manual that teaches a homeschool mom the ins and outs of notebooking. Your purchase is risk free. If you are not satisfied with Notebooking Success, you can request a complete refund within 30 days of purchase. Shelly Sangrey is a mom and teacher to 11 children. 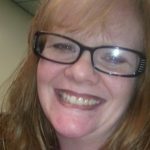 She blogs (and occasionally rants about public school) at There’s No Place Like Home. Jimmie writes in such a straightforward way. Her book really made me think, “I can do this!” I ended up reading the whole thing twice, just because. In eight years of homeschooling, my kids have never asked to do their schoolwork after school and on weekends. 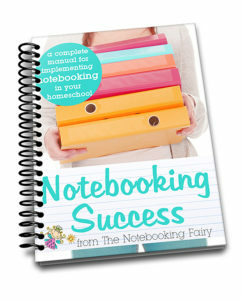 The tips in Notebooking Success had a tremendous effect on our homeschool. Kris Bales is the author of Hands-On Learning: Cross Curricular Projects to Make Learning Come Alive! and blogs at Weird, Unsocialized Homeschoolers, the home of the Weekly Wrap-Up. 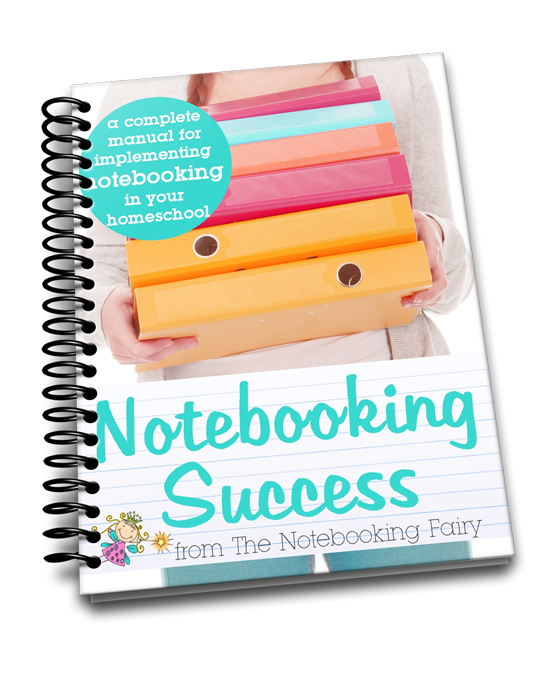 When I first heard about Jimmie’s new ebook, Notebooking Success, my first thought was, “I don’t need that because my kids don’t enjoy notebooking.” I was surprised to find that it’s not notebooking that my kids don’t enjoy – it’s lapbooking. While notebooking can employ some elements of lapbooking, it’s really similar to what we already do…but more purposeful and fun! Notebooking Success showed me that our binders, with just a little more effort, can be much more than a place to store papers until I’m ready to shred them before beginning the next school year. Instead, they can become our own personalized reference tools, keepsakes of the things we’ve learned and the places we’ve visited, and a great learning tool. I love that Notebooking Success is peppered with nuggets of wisdom and tips for success. My favorite tip was a simple, but brilliant idea for keeping track of all the notebook-related files you have stored on your computer. I’m forever finding things on my computer that I meant to use with a certain topic, but forgot that I had. If you’re looking for a way to encourage organizational, problem-solving, and composition skills in a way that can encompass every subject and nearly any homeschooling method, I encourage you to read Notebooking Success. 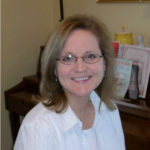 Barbara McCoy is the creator of the Outdoor Challenges, Sketch Friday, and Harmony Arts Curriculum. She blogs at Harmony Art Mom and The Handbook of Nature Study. When Jimmie asked me to review Notebooking Success, I was anxious to glean practical ideas for our family. This was a tall order since we are a notebooking family with a high school aged student. This book did not disappoint me in any area. It gave solid reasons for using notebooking techniques as a follow-up to any area of learning. It showed the value of notebooking, the steps to build a notebook, and the methods to include all types of learning into one valuable and memorable notebook project. I highly recommend Notebooking Success to any family looking to start on the road to a notebooking style of homeschooling or as a resource for families already using this method. 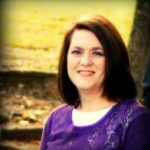 Cindy West is the author of Homeschooling Gifted and Advanced Learners published by Prufrock Press and the owner of Shining Dawn Books. 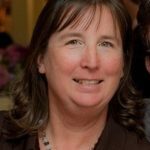 She blogs at The Journey Westward and is a contributor to The Heart of the Matter and The Curriculum Choice. Clear. Concise. Full of practical ideas. Easy to implement. Very motivating! Those are phrases that perfectly describe Notebooking Success by my blogging friend, Jimmie. I’m not new to notebooking. My children have used this method of narration and writing for years in our homeschool . But, after reading Jimmie’s e-book, I felt a renewed passion for this excellent method of teaching and learning – and this old dog even learned a few new tricks! Jimmie’s writing style is so smooth and succinct that you’ll find yourself easily reading all the way through the book in less than 30 minutes. More importantly, at the end of the 30 minutes, you’ll have all the tools you need to get started (or refreshed) with notebooking right away. 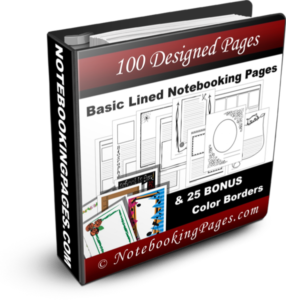 Your purchase of Notebooking Success is a one time transaction. In the case that an updated version of the book is released, your initial purchase does not qualify you for free copies of that revised version. I really want you to have this! Save $2.79 on Notebooking Success.